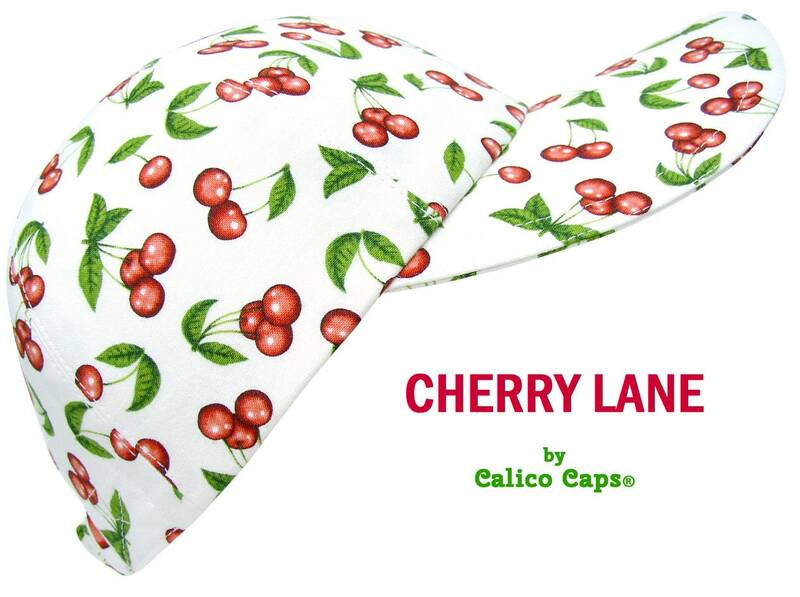 This baseball cap is called "Cherry Lane" - Bright red cherries and green leaves on a refreshing, white background. A nice way to top off your weekend Farmers' Market outfit. 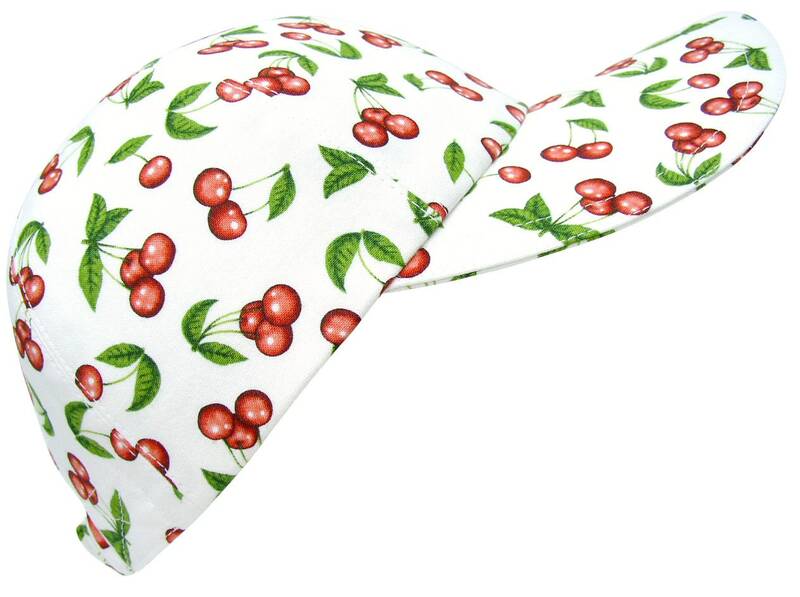 A lovely Winter to Spring cap; makes a cheery Christmas theme hat with the red, white and green. Maybe a gift for your favorite vegan, baker or fashionista. White top-stitching. Red grosgrain band on the white-on-white cotton floral print lining.